Ines Monte | Littler Mendelson P.C. Ines Monte is a trusted legal adviser to executives, in-house counsel and human resources professionals for companies of all sizes, ranging from start-ups to global enterprises, across many industries including retail, financial services, manufacturing, technology, and media. Apart from providing legal advice on all types of workforce issues, Ines is a seasoned litigator experienced in class action harassment and discrimination suits, as well as wage and hour class litigation. Her diverse legal background allows her to provide clients strategic and practical legal advice on the full scope of employment law matters. Her goal is to help clients efficiently manage their legal risks, while complying with ever-changing legal requirements. Before joining Littler, Ines developed substantial experience in systemic class litigation as a senior trial attorney with the U.S. Equal Employment Opportunity Commission’s Chicago District Office, where she litigated high-impact harassment and discrimination cases under the ADA, Title VII, and the ADEA. 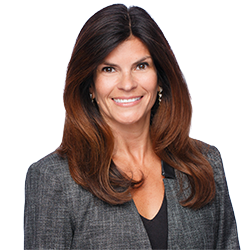 Apart from her EEOC experience management-side private practice, Ines also served as the first general counsel for a commercial maintenance company employing over 5,000 unionized and non-unionized employees. In that role, she re-engineered the company’s litigation and charge-handling procedures to substantially reduce legal expenses and exposure. She also reduced in-house legal spend by implementing effective training, complaint reporting, and complaint investigation procedures to reduce the number of employee complaints to outside agencies.